When those with Littmanns walked around flaunting their stethoscopes, others would mockingly say, "it's not the stethoscope that matters. It's what's between the earpieces". In diagnostic medicine, history might have been written by men but it wouldn’t have been possible without a little push from women. 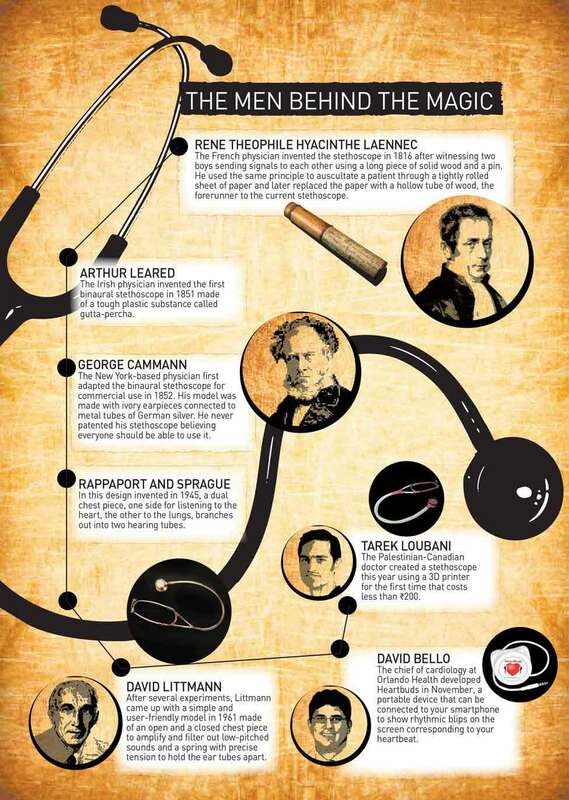 Take its two greatest inventions: the stethoscope in 1816 and the X-ray in 1895. 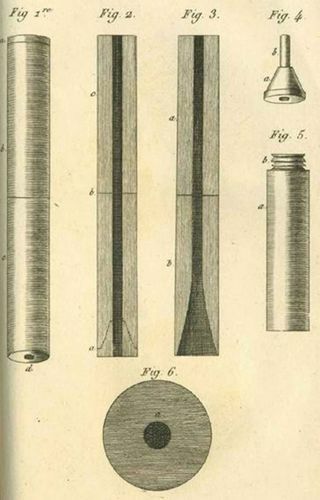 If the French physician Rene Theophile Hyacinthe Laennec hadn’t been embarrassed to place his ear on the chest of a plump woman with pendulous breasts, he wouldn’t have used a tightly rolled sheet of paper to listen to the sounds in her chest cavity, and the stethoscope might never have been invented. A few years later, German physicist Wilhelm Roentgen must have thanked his lucky stars that he was generous while buying his wife, Bertha, a wedding ring. When Roentgen made the first X-ray image of her hand, the contours of the hefty wedding ring clearly stood out. Around this time, in a village in Kerala, a young woman was tinkering with medical potions and concoctions—the first doctor in our family: my great-great-grandmother. Her father, called Ittooppu Vaidyan, owned a few ancient medical texts translated from Sanskrit into Malayalam but unfortunately, none of his sons could decipher them. Only his daughter had studied up to the fifth grade and could read Malayalam so it fell upon her to assist her father by reading out the treatment for various diseases when patients came to visit Ittooppu Vaidyan. After his death, the texts passed down to her and she studied them diligently. Those days, the tricks of the trade had to be kept secret so at night, when everyone else had gone to bed, my great-great-grandmother and a young assistant would step into the kitchen and start boiling, grinding and mixing various ingredients. One of her popular medicines used to be called cheerabalam—a potion made by grinding common sida to a paste and boiling it with milk 101 times. The medicine was used to treat stroke, diarrhoea and hypoproteinemia in children. My grandmother remembers her grandmother treating her cough with a medicine called thippili, a concoction of rock candy and honey; it worked like magic. After her death, my grandmother inherited the texts. It strengthened her resolve to become a doctor. She graduated from Christian Medical College, Vellore, and was working at the Government Medical College in Thiruvananthapuram when my grandfather, at the time working as a registrar at Vellore, came to formally see her as a prospective bride. My grandmother was treating patients when my grandfather, smartly dressed and carrying a briefcase, walked in. She thought he was a medical representative and asked him, quite rudely, which company he was from and what he was selling. It was a blow to my grandfather’s ego. 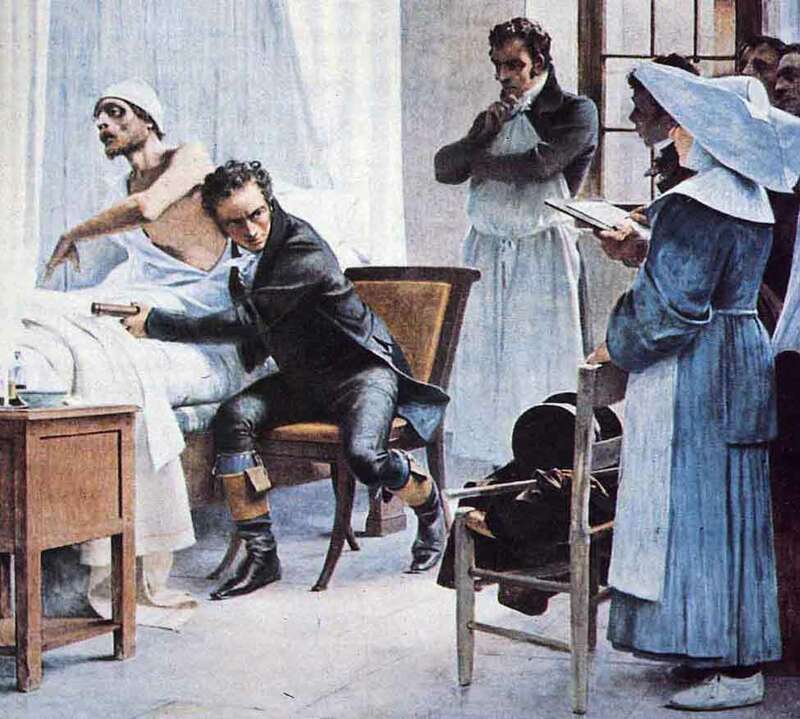 Pitch perfect: Laennec invented the stethoscope in 1816. Perhaps in retaliation, after their marriage in 1955, my grandfather not only left my grandmother to go to the UK to complete his FRCP (Fellow of the Royal College of Physicians) training, but also left her in charge of the hospital he had built in a small town in Kerala. My grandmother, a relatively new doctor with little experience, was petrified. The hospital had five rooms and was staffed with three nurses, a compounder and a super. It had no facilities other than a small laboratory with one microscope and a few chemicals to do blood and urine tests. 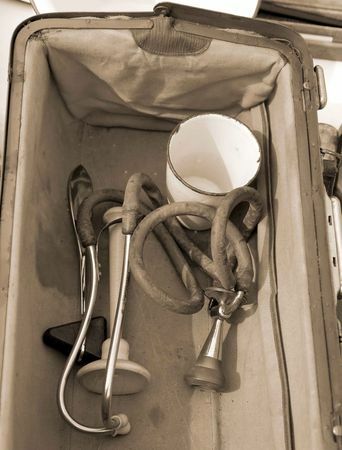 The only weapons my grandmother wielded those days were the stethoscope and the willingness to listen to the troubles of patients. Visual delight: Laennec's initial drawings of the stethoscope. She and her stethoscope took many expeditions together. She used to travel miles to the hilly areas near the town to manage the labour of tribal women. In one difficult case, my grandmother decided to use forceps but no matter how hard she pulled, the baby just wouldn’t come out. A nurse called Mariakutty who had accompanied her kept muttering, “Oh Jesus, Oh Jesus, Oh Jesus.” Finally, after hours, the baby was born. The next day, when the relatives of the woman came to visit my grandmother, she was scared it was because the baby had developed some complication. But it was to gift my grandmother with two large jackfruits (“which I could hardly lift”) that they came. The story goes that after my grandparents got married, my grandmother was determined to pursue her higher studies. She even filled an application form to a medical college which she handed over to my grandfather to post. He promised to send the form and then promptly stuffed it in his office drawer. He wanted to start a family and, unfortunately, he needed my grandmother’s help for it. His plan was a spectacular success because in quick succession, out popped my aunts, my father and my uncle. All of them, except my uncle, would become doctors. The years when my father and his siblings were growing up witnessed a lot of exciting advances in diagnostic medicine. Nuclear medicine studies that involved the introduction of minute quantities of radioactive material into the body were first done using special gamma cameras. Basil Hirschowitz and Larry Curtiss invented the first fibre optic endoscope in 1957 where flexible glass fibres were used to channel light from an external source to illuminate the organs inside a patient instead of attaching a small filament lamp on the tip of the endoscope. By the 1960s, the X-ray image intensifier that allowed the display of the X-ray movie using a TV camera and monitor was widely in use. But the invention that had the greatest impact on their lives was made in the early 1960s by an American cardiologist born to Ukrainian immigrants called David Littmann. Littmann was called “an inveterate gadgeteer” by his medical school colleagues because he was always tinkering with medical gadgets and was interested in designing a stethoscope with improved acoustics. He worked on new stethoscope designs in his basement where he had set up a workshop. He went through 30 different iterations before he arrived at the one he liked. 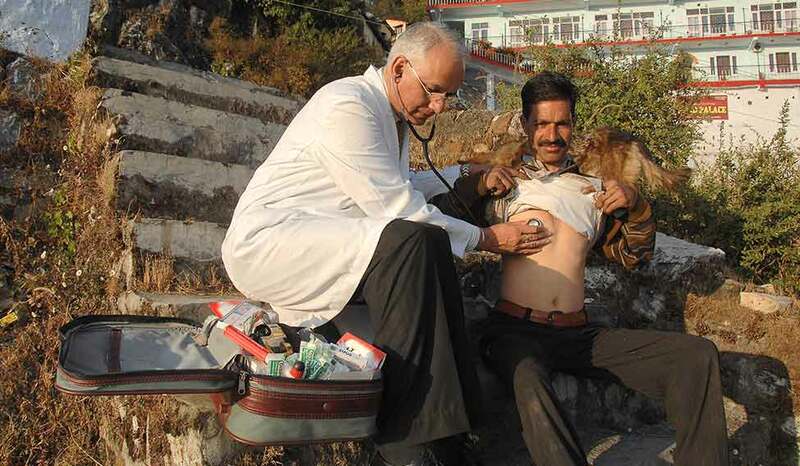 He started giving away the stethoscopes free of cost. By 1960, he was receiving regular orders, selling 10 to 20 stethoscopes a week. He would fill the orders at night and his wife would box them up and mail them the next morning. My mother, a dermatologist, remembers one of the professors who taught her how to use the stethoscope. He was a large man who came to class wearing a bow tie. He would place his stethoscope on one side of the patient’s chest and you were asked to place yours on the other. At periodic intervals he would ask you to identify whether a heartbeat was a ‘lub’ or a ‘dub’. You identified the sound more by watching his face than by listening to the heartbeat, says my mother. You might say ‘lub’ and then watch him. If he was frowning, you would immediately change it to a ‘dub’. Another time, her class was divided into groups of 15 and each one in the group was asked to auscultate a patient and report a diagnosis. In my mother’s group, each medical student went to the patient, examined him, and reported all sorts of complicated and impressive sounding diagnoses. “Mitral regurgitation with aortic stenosis,” said one medical student. “Mid-diastolic murmur,” said the student who went before my mother. When it was my mother’s turn, she could find no anomalies after examining the patient. 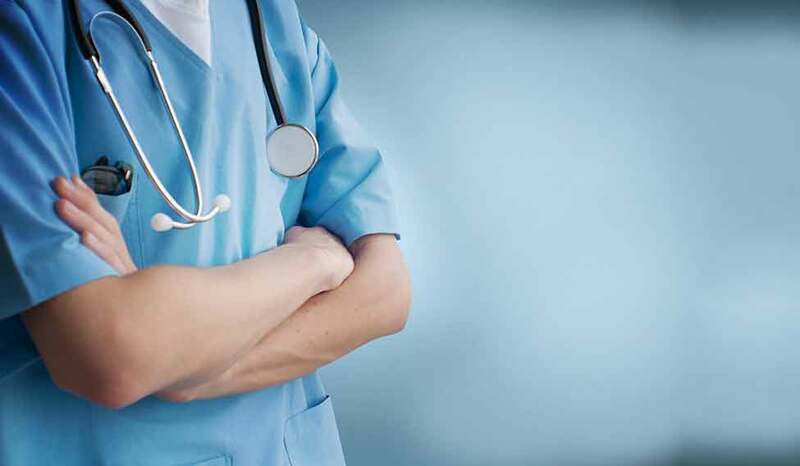 She looked up at the medical professor, thought it was a trick question, and said confidently: “There is nothing wrong with this patient, sir.” The whole class erupted into laughter. It takes many years of experience to learn how to master the stethoscope, says my mother. Once, when she was a house surgeon in Vellore, she, along with another house surgeon, was asked to examine a patient. The other house surgeon was called ‘submarine’ by his friends because he had an annoying habit of disappearing at crucial moments. As he wasn’t there with her, my mother went in to examine the patient alone. She diagnosed the patient with fever and jaundice and reported the same to the relatives. “Is there anything to worry about?” they asked. “Not really,” she told them. Sometime later, the patient had a cardiac arrest and died. 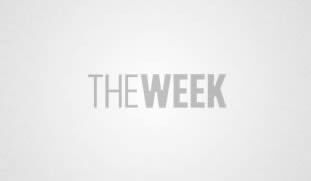 It turned out he had Weil’s Disease, a severe form of leptospirosis transmitted by rats via contaminated water. The relatives cornered my mother and asked for an explanation. My mother, still in shock after losing her first patient, didn’t know what to say. At that moment, the submarine resurfaced. “There’s only one thing to do now,” he told her. He took her hand and they fled. Those were the golden days of the stethoscope when its primary rival—the ultrasound—hadn’t become so prevalent, compact or easy to use as it is today. So when my aunt met with a car accident, her abdominal girth had to be measured periodically with a tape because there was no ultrasound to indicate the extent of internal bleeding. An ultrasound scan is a medical test that uses high-frequency sound waves to capture live images from the inside of your body. It was in the 1940s that the ultrasound was used for the first time in medical diagnosis when Karl Dussik, a neurologist and psychiatrist at the University of Vienna in Austria, used it to locate brain tumours by measuring the transmission of the ultrasound beam through the skull. In 1950, a German doctor, Wolf D. Keidel, became the first to use ultrasound on the heart. He wrote about the ‘acoustic heart shadow’. The title of the work was A Method to Register the Volume Changes in the Human Heart. In 1953, at the cardiac laboratory at Lund University, a cardiologist and a physician, Hellmuth Hertz and Inge Edler, placed an ultrasonic probe over Hertz’s heart and, to their amazement, saw an echo moving back and forth along the screen at a depth of about eight to nine centime tres from the chest wall, leading to the discovery of echocardiography. In 1966, Don Baker, Dennis Watkins and John Reid developed pulsed Doppler, which enabled the detection of blood flow from different depths in the heart. It was the invention of Computed Tomography imaging or CT scans in 1972 by British engineer Godfrey Hounsfield that opened a new vista of diagnostic possibilities. “Whatever we diagnosed clinically could now be confirmed medically,” says my father. But such magnificent discoveries took time to percolate to India. My mother remembers the ultrasound as a small paragraph mentioned in one of her medical textbooks. My father saw an ultrasound machine, albeit huge and clunky, for the first time when he was practising medicine in Kolenchery in Kerala in the 1980s. One of his colleagues was sent to Germany by General Electric for two weeks to get trained in the use of the ultrasound. During breaks, my father and his colleagues would go to the ultrasound room and fiddle with the equipment. They would review various ultrasound images and conjecture as to what the disease could be. My grandfather, the wily planner, not just wanted to start a family of doctors; he wanted to ensure that the trend continued into subsequent generations. He felt his best bet was to marry his children to other doctors and thus beget doctor progeny. So both my aunts’ husbands are doctors and so is my mother. When we were born, my grandfather keenly watched the subjects of his experiment to see whether it would succeed or not. For a while, I showed potential but it was soon evident that I was more inclined towards the pen than the peritoneum. All hope was lost when I began outsourcing my biology graphs to my friend and nearly needed my smelling salts to revive me when my teacher dissected a frog in class and its intestines popped out. All the grandchildren started taking up streams other than medicine and it was gradually dripping out of the veins of our family. 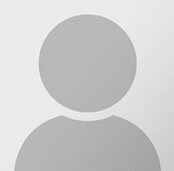 Until, like a lone warrior, my cousin—my elder aunt’s son—decided to give in to what he calls ‘invisible coaxing’. Since the medical school days of my aunts and my parents, medicine has undergone a sea-change. The biggest trigger for the change is technology. Advances in technology led to development of CT scans, magnetic resonance imaging and positron emission tomography or PET imaging to improve diagnostic accuracy. Angiogram X-rays can detect coronary arteries that are clogged with cholesterol and other fats. Implanted devices can serve both as pacemakers and defibrillators which can automatically detect an abnormal rhythm and then shock the heart. My cousin tells me he has had arguments with his father about the relevance and reliability of clinical skills in medicine, which, he agrees, are decreasing with each generation of doctors. (In his father’s opinion, medical students today can’t even differentiate between a systolic and a diastolic murmur using a stethoscope). “When I was an intern, ordering investigations was part of the guidelines,” he says. “So we’re trained to do that.” He cites Buckminster Fuller’s book Knowledge Doubling Curve which says that human knowledge doubled every century up to around 1900. The end of World War II reduced that time frame to about 25 years. Today, advances in clinical knowledge double every 18 months. “Medicine,” he tells me, “is a high-stakes game. You have to keep up with the changing times.” Can the stethoscope?